I came across a new (to me) challenge today courtesy of Darnell...she who knows everyone! It's called Share the Joy and the challenge has a lovely ethos. This card follows both parts of the challenge, the sketch plus the CAS part, as that is just my style! nd would have to check to be sure. This is for a friend whom I know loves trees, loves CAS cards and is very fond of deer..so all good! I knew that I wanted to use the keyboard die to replicate the stripes in the image but started by trying to add yellow flowers but with the rather large sentiment from Heidi Swapp and Tattered Lace it just wasn't working. Quite how the kittens on the keys came about is a bit of a mystery, but they looked as though they should be chasing something and so the yellow stars also emerged! Oh, this is so beautiful Chrissie! That crisp, vast whiteness with the silhouetted black deer is simply stunning. Love how most of the detail in the focal point is white also. Such an elegant combination. 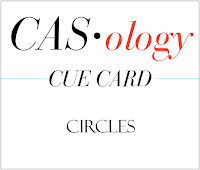 Thanks so much for sharing with us at CASology this week! I love this! What a great interpretation of the inspiration photo. 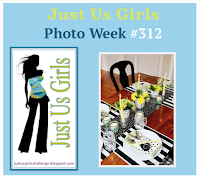 Thanks so much for playing along with us this week at Just Us Girls! Two fabulous cards...but I love the deer one...it's fabulous! The black and white is very striking. A beautiful card! Thanks for joining us at The Card Concept! 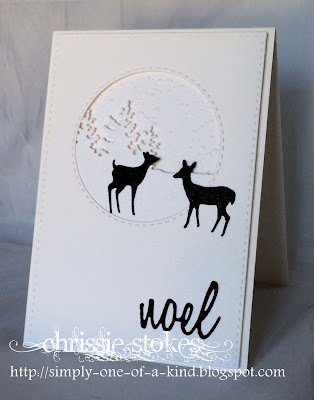 Chrissie, your first card reminds me of the beautiful wintry nights we have near our town...peaceful, snow gracefully falling, and the glimpses of deer. So incredibly lovely. 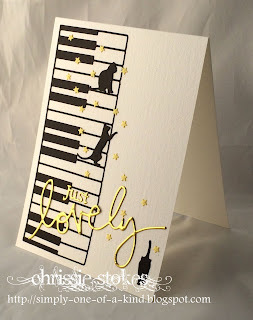 The playfulness of the kittens, chasing stars, running across the piano keys...absolutely marvelous! Fantastic! Great interpretation of the photo. 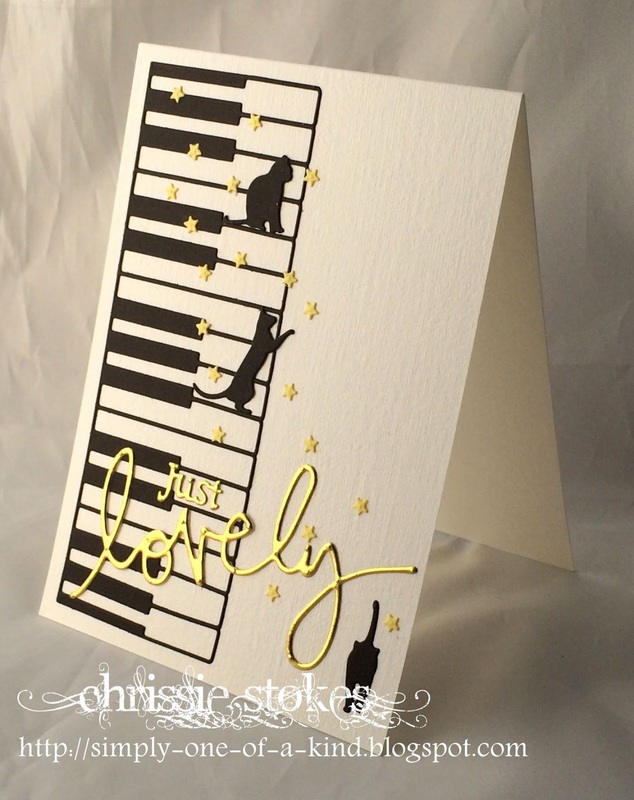 Love those piano keys with those cats and sprinkling of stars. Thanks for playing with us at JUGS! This is stunning!!! 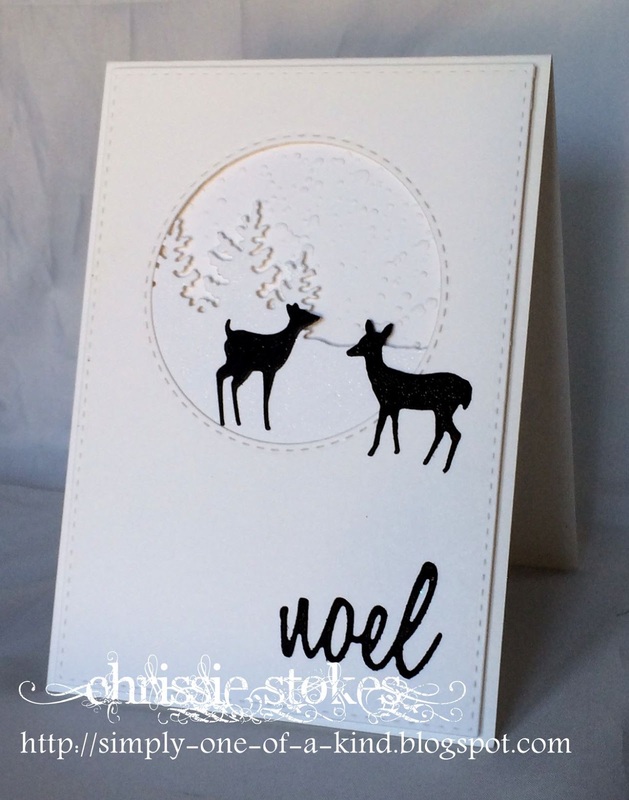 I LOVE the look of the silhouette deer on the white card! Just gorgeous! Thanks for joining us at The Card Concept! Stunning!!!! Love the white and black!